What steps should a preacher take before he begins to study? This brief musing concerns itself with the question, “What should the preacher do in preparing to preach each sermon?” All preachers should have a biblical strategy in preparation. Mediate on this text: “So they read in the book in the law of God distinctly, and gave the sense, and caused them to understand the reading.” (Neh. 8:8). Three things are present here. First, they read God’s word. Second, they explained the text. Third, which may be divided into two halves, is that they caused them to understand what was read. The two halves may be divided into the doctrines which come out of the text, and the experimental application of the doctrines (and the text) to the individual hearers. This is the heart of not only biblical preaching, but Reformed Experimental Preaching. What is the setting of these passages? We are dealing with the exile and return of God’s people to Jerusalem and the Promised Land. Israel had been exiled because of sin. 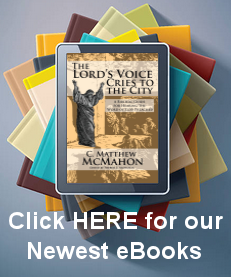 God used the Babylonians to bring them into captivity. For 70 years they remained captive. The Babylonians were later conquered by the Assyrians (known also as Persians) while Israel was still exiled. Ezra, though, found favor with the king. Why? In Ezra 7:9 it says that, “…the good hand of God was upon him.” There was a great need for Ezra, under the provincial powers of the king, to return to the land of his forefathers and restore the Word of God to the people who had lost it, and forgotten it. In order to accomplish this task, Ezra “prepared himself” to teach. All of this was accomplished by God’s providential sovereignty. What did Ezra do in preparation for preaching and teaching? The text does say in Ezra 7:10 that “…Ezra had set his heart to study the Law of the Lord…” Do we have any insight into what he did? The word “prepared” is the Hebrew “koon” which means, “to set firm, or arrange or establish.” This is what he did with his heart, or “the whole man,” as the Old Testament frequently uses this word. After he had set, or established his heart (his whole man), to study, he sought after the law and precept. This Hebrew idea does not simply mean, “to find it.” For example, “I find a buried treasure.” It also hold the idea of what I will do with the treasure once I find it. I spend it, bank it, etc. Here, Ezra “seeks” and this seeking is riddled with “seeking for the purposes of application.” Not only is he looking for knowledge, he is going to seek the source of that knowledge (Scripture), understand it (doctrine) and rightly apply that knowledge, experimentally. After Ezra works through this preparation to seek the law, apply the law, and do the law – he preaches the law. Nehemiah 8:8 tells us that Ezra preached “the Word of God.” He read it aloud, distinctly, as did the others with him who were also preaching. (How exactly they worked this out between them is unclear. Yet, their strategy up until this point is not unclear.) They “read” the word, or “recited it aloud.” The law was the written Word of God given to the people of Israel. They needed to hear it, so Ezra read it to them. Next, the text tells us how they read it; they “distinctly read it.” The Hebrew means just that, “to make it distinct.” Then, they made it clear to them, explaining it. And finally it says they caused them to discern it. They applied the message to understand the text experimentally. When material from Scripture hits the point of making it experimental to the people, it seeks to explain the Bible as to how doctrine is perceived, and how they are applied and played out in the Christian life. The people understood what the text “said” and what it meant. Now, how did they do all this without previously preparing? It would have been impossible for them to do this without having prepared themselves. They first had to understand the message of the text themselves before they ever gave it to the congregation. That is why Ezra wanted to know it and apply it to himself before he taught Israel. Ezra 7:10 sets the minister’s standard as a preacher. God’s hand and blessing was on Ezra. Ezra made a preparation of his heart and diligence to seek the meaning of the Word. Yet, the question still remains, “how?” How do preachers prepare to study for sermons? What should they do? Here are some gathered principles to consider. First, they prepare to study by being reminded that they are speaking on behalf of God and His revealed Word. Preachers have grave cause to meditate on the reality of this fact. They will never grasp it totally, and that should never discourage them from meditating through it periodically before each sermon. Thoughtful meditation is indispensable on this point of godly preparatory study. The preacher must be thinking that he stands in the gap between God and the people. He is going to stand before never dying souls and bring forth the Word of God to them. He is the herald, an angel, a messenger of Almighty God. God chose him for this task (we will assume the preacher in this regard simply did not want to be a Reformed Preacher because he thought it might suit him, but that he is qualified to preach and has been ordained to the task.) God has gifted him for this task (we will assume that as well). The preacher has studied diligently. He has prayed fervently. Then he is ready to speak on behalf of God. Preachers are the “heralds” of God. Their position is the pulpit, Christ is present beside them, the Holy Spirit hovers about the congregation, never dying souls are those listening, angels and demons gaze on with interest, and heaven or hell are won or lost. Should preachers take heed in thinking through this? Secondly, they prepare to study with an aim at doing the very best they can in each sermon. The result of poor study, or half-hearted study, is poor preaching or non-preaching. How much poor preaching is done week in and week all over the world? Preachers often forget about one of their most useful tool sin the pulpit – their first finger. It is not to be wagged at the congregation, but it is to be placed on the text. Keep your finger on the text. A CHALLENGE TO PREACHERS: I find in listening to sermon after sermon all over the internet, and the many churches I’ve visited across the United States, and even in other countries, that ministers simply have not learned how to preach well. We ordain good hearted men, who have a desire to serve God, but cannot preach their way out of a paper bag. There is a great gulf fixed between hermeneutics and homiletics. Yes, that topic deserves a plethora of articles all their own, but here, consider a basic idea: if a minister is simply a running commentary on a passage, or if he is always running through bible drills each time he gets into the pulpit, he is demonstrating to those that know the difference between hermeneutics and homiletics, that he is inadequately prepared to preach. It could be that he was never taught. Preaching takes sound teaching and lots of practice. But running commentaries, or bible drills, are simply not preaching. They oftentimes become an excuse for poor preparation. What do I mean? If the minister’s sermon is filled with “Turn with me to…” every few seconds, he is simply covering up the reality that he is ill prepared on a text. If the sermon is 45 minutes, and he has to turn to 25 texts, and read them, and tell us how they link to John 5:8, he is really taking up about 25 to 30 minutes of his sermon running all over the bible. He has not really thought through the text, the doctrine from the text and the application of the text, and the way he will communicate that text to the congregation. Ministers ought never to be found boring people with the word of God, and bible drills on Sunday Morning are in fact as boring as one can get. If you as a preacher want to lose your congregation quickly, just run all over the bible for 30 minutes asking them to follow you on your ranting. Instead, consider a useful tool that will eradicate that problem very quickly. One of the preacher’s most useful tools in the pulpit, (to begin to correct running all over the bible during a sermon), is to keep their finger on their text and not lift it up. Literally, take your index finger and place it on a text and keep it there. If you are unable to do it, then it demonstrates that you 1) misunderstand the Analogy of Scripture, and 2) misunderstand the nature of real exegesis. If you are a preacher who week after week runs through countless passages to give your congregation a systematic theology lesson on a given topic by quoting 32 of the 66 books each time your preach, say, on “zeal”, then this challenge is for you. During your pre-sermon study, take your finger and place it on the text that God desires you preach on. Study through that text. Engage in thoughtful hermeneutics. Then preach that one text to the congregation for an hour. That should not be a difficult task, unless of course, you are unable to harness both hermeneutics and homiletics in the correct way. Save the Systematic Theology lesson for Sunday School, or a Seminary setting with a whiteboard behind you. Instead, the pulpit ought regularly to be used as the place where you read the text, mine out the doctrine of a text (or doctrines), and then experimentally apply the text to the people of God. If you need help on this challenge, then read a couple of Puritan works and they will aid you in understanding this critical point. William Spurstowe wrote, “The Wells of Salvation Opened,” in which the words of the text are opened, and the principal particulars are handled and then proposed from 2 Peter 1:4, “Whereby are given to us exceeding great and precious promises, that by these you might be partakers of the divine nature, having escaped the corruption that is in the world through lust.” Or read Jeremiah Burroughs’ work, “Gospel Worship,” on Leviticus 10:3, “I will be sanctified by them that draw near to me.” Spurstowe’s work is a treatise that was enlarged from a series of sermons, but it centers on one text for 200 pages. Burroughs’ work is a series of specific sermons, and is centered on one text for 350 pages. Both use the Analogy of Scripture. However, it is a very different thing when one or two Scriptural quotations are simply used to support a verse or set of doctrinal ideas pulled from the text, and when the average bible driller reads 26 verses to demonstrate his own studious inadequacy in ill-preparation. So here is the challenge: use one text, one verse or paragraph that you are going to preach on, and study it with your finger glued to the text, then preach on that one text on Sunday morning. Don’t wander off from it. Just preach the one text. Consider, God’s word is able to stand on its own if you handle it responsibly. I can hear the objection already – “What about the Analogy of Scripture?” When a preacher runs into a difficult text, a portion that may be obscured or difficult to understand, they will utilize the tool of the Analogy of Scripture. This is the rule that Scripture shall interpret Scripture. This seems almost common sense to say. It is often the common sense rules that help the preacher determine the exact meaning of the text he is dealing with. This idea that Scripture interprets Scripture rests on its being the “inspired Word of God.” If Scripture is not the inspired Word of God, then there is no need to apply sound hermeneutics, and consequently, there is no need to read articles like this one in exhortation of proper biblical interpretation. But the Analogy of Scripture ought not to be used simply to fill up the sermon because the original “springboard” text has not been adequately considered by the minister. The Analogy of Scripture is absolutely necessary to good sermon preparation, except when it is used to replace the content of what ought to be sermon with 25 texts that have to be read and commented on because serious study was never previously accomplished. Let’s get back to Ezra. Thirdly, preachers prepare to study using Special Prayer, as Ezra did. The better we pray, the better we study. Pray before, pray during, pray after study; pray on the way up to the pulpit, pray before you preach, pray after you preach, pray! Pray! Who knows the Word of God better than the Holy Spirit? Do you need the Spirit in your study time? Does Jesus give us the Spirit when we ask Him? Does He promise to do so? Of course! Why then do preachers often neglect to saturate their preparation time in prayer? Prayer is not a substitute for preparation. When prayer is a substitute, we get bible drills. That’s not what the congregation needs. Preachers must have private prayer, and prayer for their church, and prayer for the people of the church, and prayer for those in authority in the church, and…the list goes on. But preachers must pray for their sermons and the effectual goals of that sermon. Next, let us ask the question, “Where Do Sermons come from?” The answer to this is actually quite easy. Sermons come from “the text.” Sermons are birthed from the Word of God (link this to the “challenge” given previously). It is here that the preacher is working on the Word of God to form the sermon that the Word of God stores inside its infinite depths. Preachers must always remember that the never-dying souls of the congregation are only transformed from the Spirit’s work by the text, the Word of God. As 2 Timothy 3:15 demonstrates, “And that from a child thou hast known the holy scriptures, which are able to make thee wise unto salvation through faith which is in Christ Jesus.” Timothy had learned the Word of God from his youth. This Word is what makes him wise to salvation. It is not learning the fancy oratory of a “Speech Class” that transforms the congregation in their sanctification; its the Word of God delivered responsibly. This is where preachers must have a very high view of the Bible. Like Ezra did, the preacher’s job is to deliver the Bible in a distinct and clear manner so people will understand it. It is what made the people weep after Ezra’s preaching, although they should have found cause for rejoicing. Since sermons come from the text, homiletical formulations have arisen to classify sermons explained from the text as “Reformed Expository Sermons.” What does “expository” mean? Simply, it means to “explain.” This is where the preacher demonstrates how he knows what the text means, and then is able to show others how he knew it. Expository sermons are sermons that explain the Bible, not comment on the bible or simply give the congregation the words of the bible as an explanation. Expository preaching presents and applies the truths of a specific biblical passage. It presents the Authority of the Word, not the oration of the preacher or rhetorician of the teacher, although those things may be vehicles in which the process of explanation is done. It also presents and allows the work of the Spirit to take place in and through the Word. Without the Spirit the best sermons are but mere words taking up time for the sake of time. They are exercises in rhetoric rather than the transforming power of God’s Spirit. The sermon is also a reflection of the heart of the preacher and the heart of God. Remember our text, Ezra 7:10, where Ezra has prepared his “heart” to seek the law and to do it and then to teach it. Sermons should be closely knit to the heart of the preacher. He should “own the message” himself before he delivers it to the congregation. Even God says that the sermons and material in which is fed to the congregation come from His heart as a well by way of the preacher, “And I will give you shepherds after my own heart, who will feed you with knowledge and understanding (Jeremiah 3:15).” Literally these men are “feeders” who “feed” with knowledge and understanding, but they are men who have the same heart as God has in terms of the truth. Their heart is overwhelmed with truth, and pastoral sensitivity is exhibited before the flock that is wayward and in need of instruction. In this way they herald the truth as God would have them do so. They are mimicking His heart – for God has a heart for the “apple of His eye” Israel, the church, and He cares for them. He is covenant God who is interested in the well-being of His covenant people. Next, we should consider that the sermon’s focus is Christ and Redemption. Jesus Christ is the focus of the sermon. That does not mean that every Scripture has Jesus’ name in it and that we must name the name of Jesus in every sermon. What we should consider is that Scripture has a unique aspect to it. It is continually reminding us of God’s work based on the fall and sinfulness of men and the redemption we find in God’s Messiah. After Genesis 3, the Bible always focuses around sinners and the consequence of sin. Understanding sin is essential to preaching any sermon, and ultimately tying in the Redemptive work of Christ for sin. The glorification of God on account of His work for us is something to be continually communicated. Again, that does not mean that every sermon should be, “the Gospel.” In other words, every sermon does not need to be on the historical facts of the crucifixion at the end of the fours Gospels. The entire Bible is useful for all aspects of the Christian life, (as Paul exhorted the preacher Timothy). As a matter of fact one of the most God-honoring sermons I have ever been exposed to is a sermon by Jeremiah Burroughs on “worship.” In his first sermon in that series “Gospel Worship” he does not mention the name of Jesus once. However, the entire sermon is about Jesus Christ and the worship due to Him. It takes a master “preacher” to preach in that way and exposit the Bible in a manner worthy of that kind of communication. Burroughs was not engaged in simply repeating what God’s word said, but rather expounding on what it means. Preachers must also be very aware that “truth” is not a Sermon. O! how I wish ever preacher would listen to this exhortation! What I mean is that bible facts (bible drills) do not make up a sermon. For instance, “Jesse was the son of Obed who was the son of Boaz (Ruth 4:22 ).” This is a bible fact which could be used with the Analogy of Scripture, but it does not make up a sermon. There is more to a sermon than linking a number of biblical facts or Scriptures together. The workman, the preacher, as we will see, must mold and hammer those facts into a sermon; and that takes Holy Spirit power, time, effort and skill with the text. Preachers who are new to expository sermons may ask, “How do preachers choose a text for their sermons?” First, we should consider the objectivity of “Text Selection.” We ask the question, “How many things is a sermon about?” The answer to this should be “one.” “One thing” should be the point of “most” messages. The people of God should walk out of the sanctuary with a new diamond or jewel in their Christian bag of gems. It should be about one thing that they can see clearly. Objectivity is also seen in the following two questions, “How will this help the people of God?” “What message does God want the people to know?” These are vital points for preacher to consider before they structure the sermon or begin working exotically on a text. What does the congregation need from the Bible at this point in their collective sanctification? Another important point of objectivity is that “the text” dictates the one message in a sermon. This is not what was said before, in that, sermons come from the text. This question has a different slant on it. In most cases, the preacher does not come up with the sermon and then fit a text to what he wants to say (although this happens regularly with bible drillers). The text itself dictates the message. Sometimes topical sermons have a need of showing up on the preacher’s heart; but this ought not to be the norm! Preaching certainly takes into consideration systematic theology, but is not systematic theology perse. Preachers should not make a habit of coming up with a sermon they want to preach, and then “finding” a text “that fits” the sermon. This is why preaching through a book of the Bible is so critical. The text then dictates the message, and the preacher will most likely not be charged with an “agenda” in many cases. Calvin worked in this way, and even contemporary preachers as Martyn Lloyd Jones did as well. God should be the one that dictates through the text what a message would be on or around the verses used. And yet, it is certainly the case that a particular verse may be preached upon on a number of occasions as a specific topic is worked through, such as “worship.” Jeremiah Burroughs preached 14 sermons on Leviticus 10:3 in this way. Many of the Puritans did this as well. Most of the time preachers today wonder at how preachers of yesteryear can milk a text like that. Thoughtful study through the Holy Spirit’s guidance is the answer! Although Expository sermons are “objective” to a great extent, it is impossible to remove the “subjectivity” of text selection as well. There is much for the preacher to consider in the subjectivity of text selection and considerations for selecting a text. Some considerations may be: Pastoral Prudence; the spiritual state of the people; their capacity for hearing the Gospel; their major sins; what may be happening in the life of the church. All of these lend themselves to have a subjectivity of what is preached. Otherwise, pastoral imprudence would be taken in simply following the dictates of a prayer book instead of being sensitive to the needs of the congregation. Yet, in any sermon, with objective and subjective elements to it, there should be the continual desire to set forth the supremacy of God in preaching. All of the considerations come secondary to a great extent in light of keeping the supremacy of God in the forefront. The text is from God, about God for the comfort and consolation of the people of God, and the conversion of those without God, for the glory of God. I would like to conclude this brief musing with asking, “What resources do preachers use to interpret the text for their sermons?” This is not disjointed in the overall scheme of the article. To mention preparatory helps is to be sure we have the proper tools before we actual get to our study. I am aware that there are a great number of preachers out there who pray, read their bible and come up with a sermon on Saturday night without the use of any diligent study at all. Again, it should be remembered that the spiritual state of the congregation would reflect where the preacher is at in his study time and personal holiness. The state of our whole country dictates that to some extent as well. But for those who desire to put forth an effort in laboring over word and doctrine, there are some things to consider. It is my opinion that no one, at any time, ought to be in the role of “interpreter” if they do not have the skills to interpret. This makes sense, yet, it excludes many people from pastoral work. Why so? Preachers are often preachers first before they are scholars. This is especially so in dealing with the original languages. Should preachers need to reinvent the wheel with every sermon they put together? Not necessarily. The preacher should, though, be able to handle the text in a manner in which they rightly divide it. That means they should be able to translate the text and work through the actual original languages of the text. Some might ask, “How far should the preacher go in retranslating the Bible?” He should be able to deal adequately with translation. For instance, from personal experience, I took a number of years of Greek, where I took a much shorter time with Hebrew. In Hebrew I am able to handle the text. I check my work to be sure I have not missed a “dagesh” or misinterpreted a phrase. In Greek my textural work is less apt to go astray because I am far more familiar with Greek. I certainly take time to check my work, but not to the extent I would if I was in a Hebrew text. Does that mean that I am a scholar in Hebrew and Greek? Not necessary, for I have not given my whole life over to learning Hebrew or Greek, as some Hebrew and Greek scholars have. Some people are called specifically to learn and teach the languages, but not have been called to be pastors. Yet, I can work with the text. Every preacher should be able to work with the text. They should have a working knowledge of Greek and Hebrew. Should a pastor be a pastor without being a scholar? John Calvin said, “I am a theologian in order to be a good pastor.” Not everyone is a Calvin, but every pastor is a pastor, and has been gifted to be a pastor. In seminary, most students have a year of Hebrew and a year of Greek. If preachers have not been trained in this way, or may have had the unfortunate mishap of not being able to go to seminary or formal training, computer programs abound in learning Hebrew and Greek. Remember, preachers of God Word must be able to work with the language. The preacher will also want to compare the various versions of the Bible to see how other scholars have translated a text. It is important to be prudent in this area. Some versions of the Bible are horrible: The Living Bible, The Message, and other paraphrases. Dynamic equivalents are also to be regarded as “unreliable” in many cases; NIRV, NIV and like translations. I would recommend having the following versions on hand: KJV, NJKV, ESV, ASV (1901 version) and the original Geneva Bible of 1599 (you can even find this online). These are the more reliable texts. Comparing and contrasting all versions can be a help to the preacher, but it is important that one relies on the more literal translation or more faithful versions to keep as close as we can to the text. Some of the newer bibles are atrocious in their translation. For instance, one says “God created humankind…” rather than “God created Adam…” Or there are the heretical “genderless” bibles that refer to God in neither a “he/she” format suggesting “He” is an “it” of some sort. Ministers beware of such things. Commentaries are another important aspect of checking your work. After you have your passage translated, and you have thought through the text and what it means, it is a good habit to check your work against academic and semi-academic commentaries. Examples of technical or advanced commentaries are The New International Greek Testament Commentaries, and the Word Biblical Commentaries on the Old and New Testaments. Yes, they are expensive, but they are worth their expense. And yes, they may have liberal scholars writing some of them, but that is not why the preacher would consult them. They would consult them for technical accuracy not theological extension. (Sometimes, though, those commentators hit the nail on the head.) The preacher must remember that the unbiased language scholar will oftentimes write in an unbiased manner. Do not be negligent though, sometimes they have an agenda, but in checking your work, academic commentaries like these can be helpful. There are also semi-technical commentaries that can be of great use and are often richly devotional as well. Examples may be: Calvin’s Commentaries (22 Volumes); John Gill’s Commentary on the Bible (9 Volumes); Keil and Delitzsch Commentary on the Old Testament; The Commentaries of Martin Luther; The Geneva Series Commentaries on the Bible; and The New Testament Commentaries, by Hendrickson and Kistemaker. Preachers should also have a good library of books on hand. “Seminary” says that a 1000 volume library of choice works is best suited for the average preacher. These books range from devotional, to systematic, to books on specific topics or passage of the bible. These kinds of works sometimes help preachers dig deep into a text because the entire book is devoted to a particular topic. For instance, let us imagine the preacher working through the Gospel of John. He has come to the verse, “This is the work of God; to believe in the one He has sent.” It may be the preacher desires to talk about saving faith in and over against faith itself. (Yes, there is a great difference.) He may want to peruse “Faith and Saving Faith” by Gordon Clark, or “Religious Affections” by Jonathan Edwards. These works deal with faith, true and false conversion, and the like. They would probably offer certain ideas and aspects that the preacher may not have thought about. At the very least they could spark an avenue he may want to travel down for a sermon or two based on his text. And lastly, in view of preparation and having good books as textural helps, I do not think I could emphasize enough the importance of Creeds, Catechisms, and Confessions. They are a gold mine of richness and helpfulness on almost every major doctrine in the bible. Such creeds to consider may be the following: Apostles’ Creed (A.D. 215, possibly 7th century); Nicene Creed (A.D. 325); The Chalcedonian Creed (A.D. 451); The Athanasian Creed (A.D. 500); Council of Orange (A.D. 529); The Augsburg Confession (A.D. 1530); Calvin’s Genevan Catechism (A.D. 1560); The Belgic Confession (A.D. 1561); The Thirty-Nine Articles (A.D. 1571); Heidelberg Catechism (A.D. 1563); The Canons of The Synod of Dort (1618-1619); The London Baptist Confession (A.D. 1644); The 1647 Westminster Confession (A.D. 1641-1646); Westminster Shorter Catechism (A.D. 1646); Westminster Larger Catechism (A.D. 1646) (and their subordinate documents); The First London Confession (A.D. 1646); An Appendix to the confession of Faith, by William Cox (A.D. 1646); The Midland Confession (A.D. 1655); The Savoy Declaration (A.D. 1658); Benjamin Keach’s Catechism (A.D. 1689, written in 1677); The London Baptist Confession of 1689 ; The Abstract of Principles (A.D. 1858); The Lausanne Covenant; The Chicago Statement on Biblical Inerrancy. And if there may be a question as to the content of these Creeds, Confessions and Catechism, it may be a help to utilize commentaries on them: Articles Of The Synod Of Dordt, by Thomas Scott; A Body of Divinity, by Thomas Watson; Commentary On The Heidelberg Catechism, by Zacharias Ursinus; Modern Exposition of the 1689 Baptist Confession of Faith, by Samuel Waldron; Reformed Confessions Harmonized, by Sinclair Ferguson & Joel Beeke; The Shorter Catechism Explained, The, by Thomas Vincent; The Confession (Westminster Confession Commentary), by A.A. Hodge; The Creeds of Christendom, by Philip Schaff; What Presbyterians Believe: A Commentary on the Westminster Confession of Faith, by Gordon Clark. In looking at the preparation of the preacher, these considerations should be meditated upon continually. Certainly after a good library is established, the preacher should be considering and thinking through the good books to use for each, not books to continually buy (otherwise he will go bankrupt). He does not need more than he will use. But in considering all the other aspects of preparation, the preacher should, and must, think through all of it for each sermon. He should take the time to prepare his heart and his mind to seek the Law of the Lord so that his heart will exemplify God’s heart and the people will be fed with true food from the text of the Bible, the Word of God. Preparation is indispensable for preaching, and every good minister and preacher will take the time to strategize about his next sermon. All this is done prior to study, which demonstrates that the task the preacher has in each and every sermon is immense.